TORONTO — The Canadian Civil Liberties Association is threatening litigation related to Sidewalk Labs and Waterfront Toronto's plans for a high-tech neighbourhood, which is to include autonomous vehicle infrastructure. 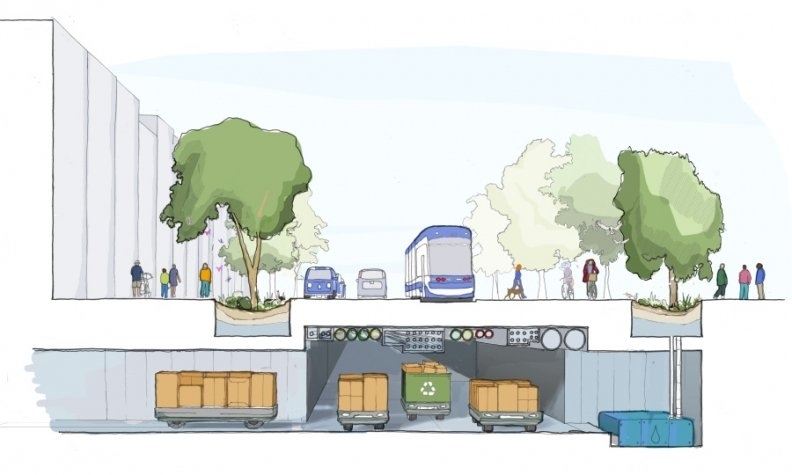 Sidewalk Labs, owned by Google parent Alphabet Inc., plans to build a high-tech “smart neighbourhood” near downtown Toronto that would rely on self-driving vehicles to transport people. The autonomous vehicle is a major component of Sidewalk Labs’ vision, Rit Aggarwala, Sidewalk Labs’ head of urban systems told Automotive News Canada last year. Sidewalk Labs, a sister company of Alphabet’s Waymo self-driving-vehicle unit, could restrict transportation in the neighbourhood to “taxibots” (a fleet of self-driving vehicles that can be summoned via a smartphone app) in addition to cycling and existing mass transit. In a letter sent to Prime Minister Justin Trudeau, Ontario Premier Doug Ford and Toronto Mayor John Tory on Tuesday, the civil society dedicated to defending Canadian rights and freedoms said the Quayside project should be "reset" before Waterfront Toronto moves forward with any partner, including Alphabet Inc.-backed Sidewalk Labs. The CCLA argued in the letter that the project poses constitutional problems because it has outsourced the public interest to a private company without democratic or legal authorities and it worries the project has opened the door to a "non-consensual, state-authorized mass capture of Canadians' personal information." "Hit CTRL-ALT-DELETE on Sidewalk Toronto: Before bidding and procurement, you must first legislate protections for the people from the risks of surveillance capitalism on our streets," the letter said. The Quayside project, which still needs further approvals from all three levels of government, involves bringing affordable housing, heated sidewalks, raincoats for buildings and autonomous vehicle infrastructure to 12 acres of the city's waterfront. In an interview with The Canadian Press, CCLA executive director and general counsel Michael Bryant said his organization has been monitoring the project since its infancy, but decided to take action now because "we feel like the risk is too high and the action is too low amongst the legislators." "I doubt that any of the three governments are happy with the way things are going right now and what we are trying to do is say here is a constitutional path," he said. "The project was unfolding in a way that was entirely in the hands of the unelected and involving rights that impact all of us." After Sidewalk Labs revealed in February that it was hoping to collect a cut of the city's property taxes and development fees in exchange for funding a light rail transit line, some city councillors have also expressed reservations about the project. An Ontario government source, who spoke on the condition of anonymity, told The Canadian Press the government was unaware Sidewalk Labs had such hopes and said the government "continues to have concerns surrounding both privacy and data that comes with this proposal." The source confided that "As it is written, there is no way our government would sign off on that plan," but said it was likely too soon for the province to begin looking for proposals from others for the coveted waterfront property.